Professional Grade Interlocking Rubber Floor Tiles – 23″ x 23″ x 5/16″ – Black w/ Gray Flecks – Center Piece. Each tile covers 4 sq. ft. area. 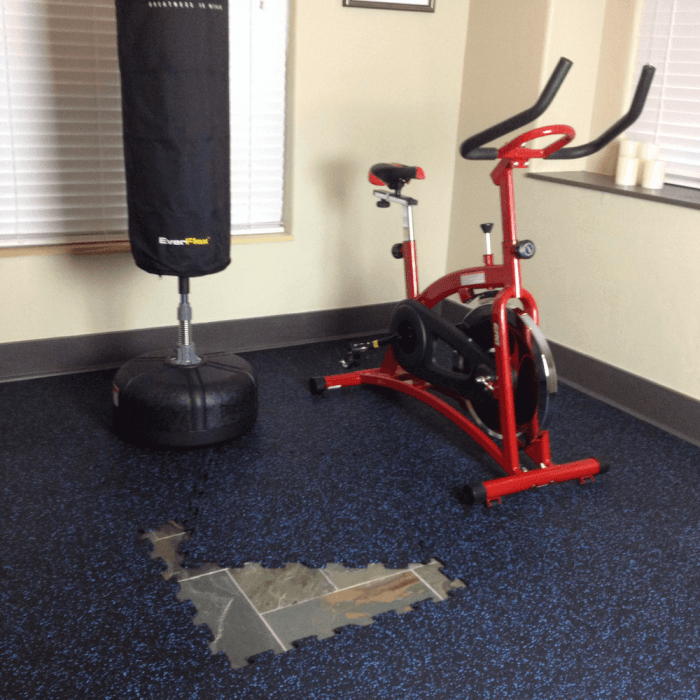 Use the side and corner rubber tiles to make custom size home gym mats. 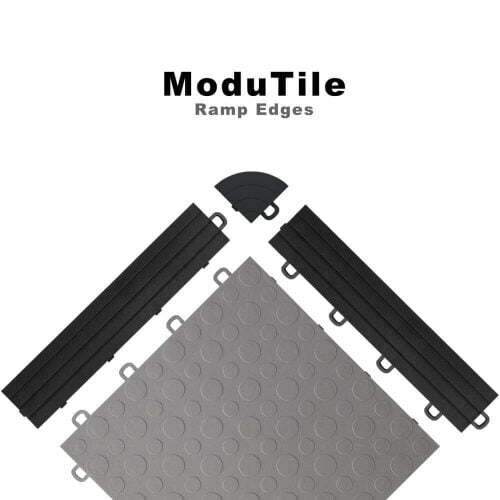 ModuTile offers interlocking rubber floor tiles are designed for the home gym flooring market. Ten percent gray flecks added to the black recycled rubber tiles render an upscale gym floor look. 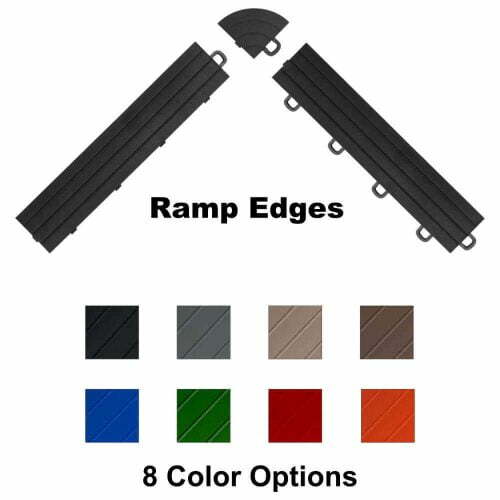 The 5/16-inch (8mm) thick rubber tiles provide protection to the subfloor while minimizing vibrations from exercise machines such as a treadmill. 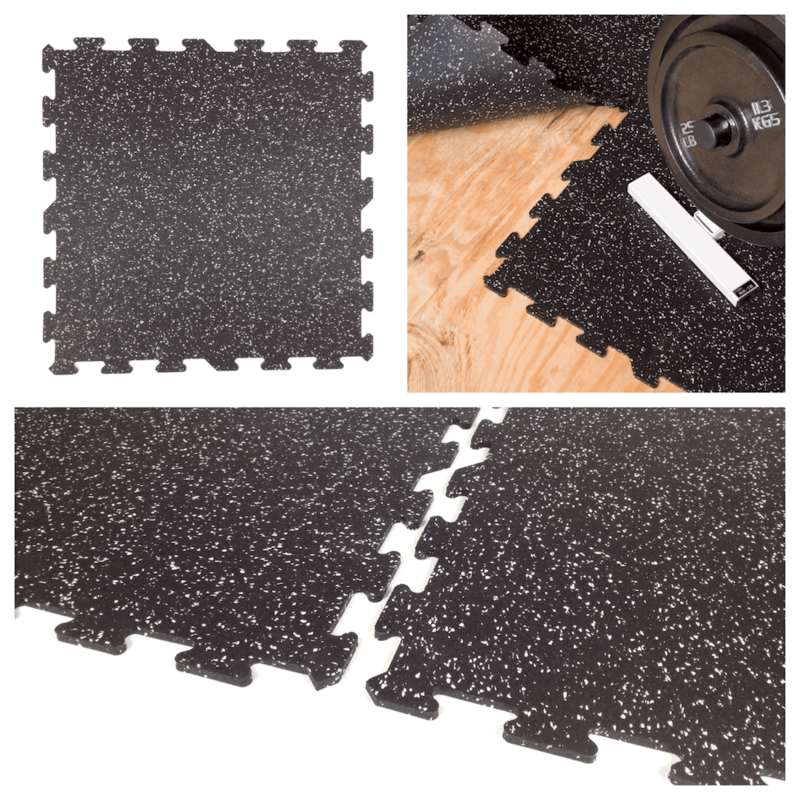 The interlocking rubber system makes them ideal for use in a home gym flooring installation. 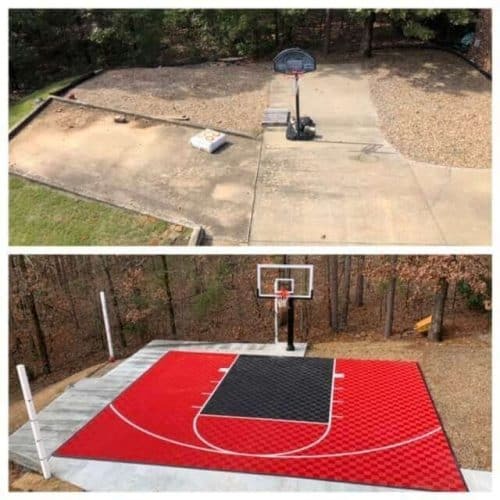 With these interlocking rubber floor tiles, you can create a gym mat or cover an entire room. They are made from SBR recycled rubber making them ecologically responsible. 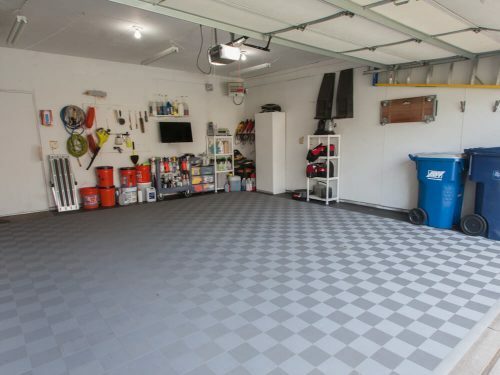 It is estimated that making each case of rubber floor tiles saves one car tire from going into a landfill. The precision cut seams allow ModuTile’s rubber floor tiles to interlock together tightly and makes the seams almost invisible once installed. The rubber tiles simply lay on top of any wood, ceramic or concrete floor. There is no need to glue the tiles down like rubber rolls. 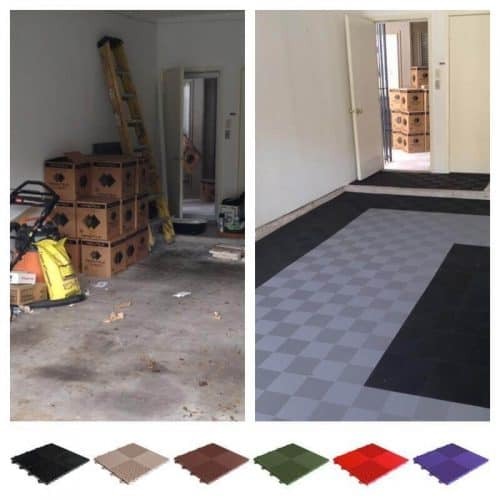 The interlocking rubber floor tiles are flexible and will conform to slightly uneven subfloors. One of the benefits of using rubber flooring for your home gym is to reduce the vibration from your exercise equipment when in use. The thicker the rubber, the more vibration it will absorb. 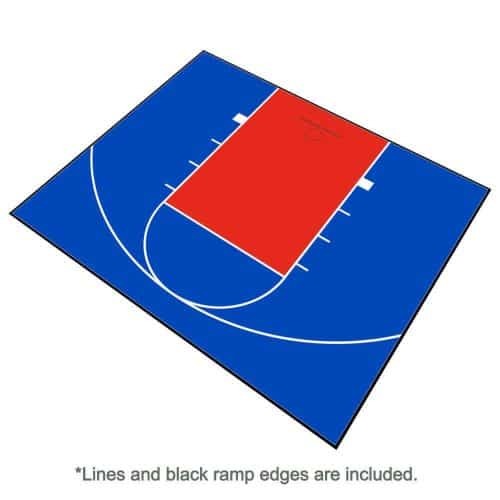 A typical home gym floor will use the 5/16-inch thick rubber tiles. Professional weight lifters may want to consider 3/4-inch thick rubber tiles or mats. What is the benefit of selecting interlocking rubber floor tiles over roll rubber flooring? The biggest benefit is the ease of installation. Rubber roll flooring must be glued down and the seams need to be cut and fitted by the installer. For the average home owner, this is not an easy task. The slightest mistake will ruin the appearance of the floor along with your investment. In addition, rubber rolls are used in permanent installations. You cannot relocate them or move them without ruining the rubber floor. In comparison, the interlocking rubber floor tiles are very easy to install. There is no need to glue them down and seams are cut in the factory using precise equipment. Additionally, if you need to move the floor, you can just pick it up and install it at an alternate location. 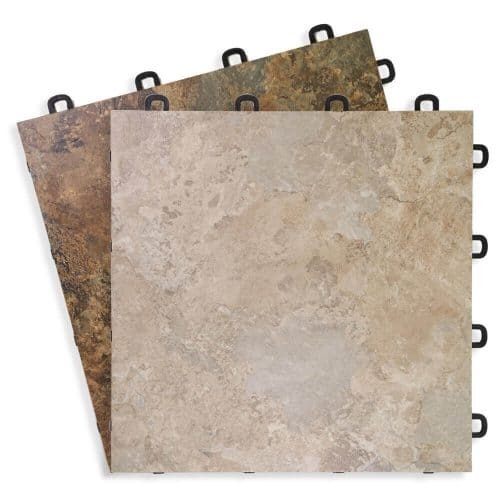 These tiles are durable and easy to move. Superior customer service and very fast shipping. I recently purchased approximately 410 s.f. of 8mm rubber flooring to convert our basement to a home gym. So far, I am very happy with the quality. Fast delivery as promised. 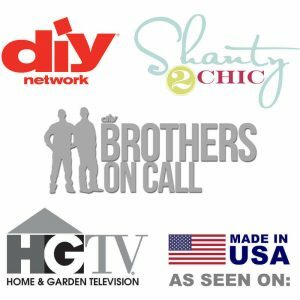 Great customer service and I definitely recommend it. Very helpful customer service. The tiles were delivered by pallet. It was very easy to install. When we first installed rubber floor tiles, there was a rubber smell, but it is gone after a while.